If you want to experience some authentic traditional Irish music (simply known as ‘Trad’) and dancing, then head to The Cobblestone. 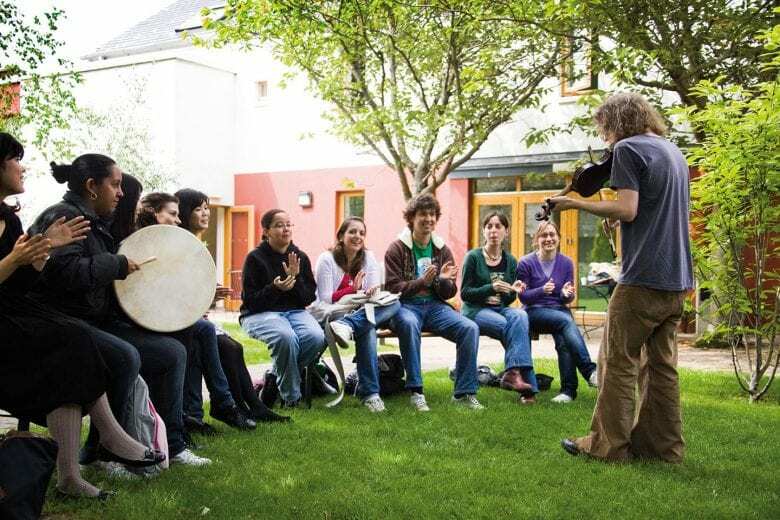 Some of Ireland’s best traditional musicians feature here every weekend. Go alone or grab a friend, you are guaranteed great music and a great night. Every Saturday in Meeting House Square, you can stroll around one of Dublin’s freshest farmers’ markets and mix with the locals. Open from 10:00 – 16:30, the market offers a mix of the most fantastic food from around the globe; try some of Dublin’s best hummus or sample the juiciest Greek olives available. Everyone knows that Valentine’s Day is the 14th February – a time to show love and appreciation for significant others and anyone else you might love. But did you know that the remains of Saint Valentine can be found in this church in Dublin’s city centre? Who knows what a visit to the patron saint of love will do for you! Dublin’s Royal Hospital of Kilmainham is one of Dublin’s most beautiful buildings with a fascinating history. It also houses the Irish Museum of Modern Art (IMMA). This contemporary art museum hosts world famous exhibitions and in particular, showcases Ireland’s artistic generation better than anyone else. Phoenix Park is one of Europe’s largest walled city parks – featuring large meadows, quiet woodland and peaceful ponds. Even better, it is home to several herds of deer. The team at the Visitor Centre, in the centre of the park, will be happy to give you some advice on how to get close to those deer! The Science Gallery is simply the coolest place in Dublin, for science nerds and non-nerds alike. Overall a brilliant way to spend a genuinely interesting afternoon – exhibits are regularly changed to bring us different, thought-provoking exhibits every few weeks. Voted European Museum of the Year 2002, the Chester Beatty Library is a delight. It houses the most remarkable collection of Oriental, Islamic and Western art and books. Be sure to pop up to the beautiful rooftop garden; a Japanese-themed area of quiet solitude in the busy city centre. 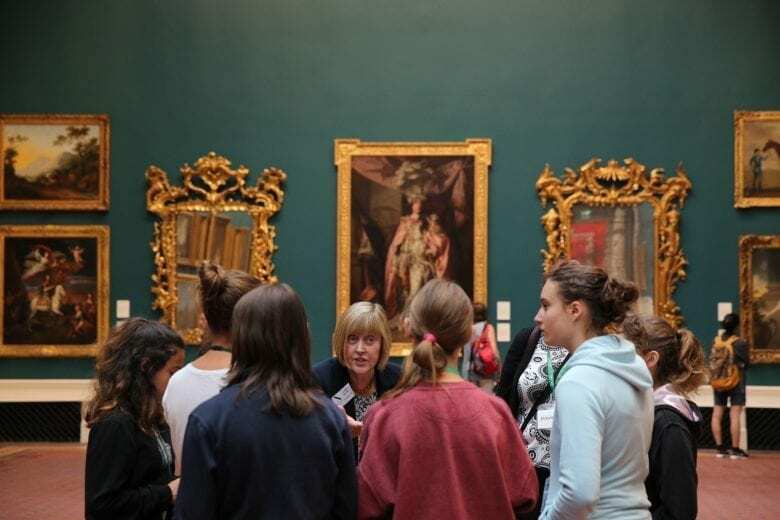 Founded in 1864, the recently restored National Gallery in Merrion Square (just around the corner from our Merrion Square school) is an impressive space. Explore the country’s national collection of European and Irish fine art. Top recommendations include: Caravaggio’s ‘The Taking of Christ’; the Jack B. Yeats collection; and the treasured collection of Turner watercolours, which are on display each January. Meet a 2,000 year old Celtic Bog Body and discover other exciting finds from the Irish wetlands including bog butter. Learn about these Celtic People and their rituals and beliefs. The National Museum also houses the Gold Collection; one of Europe’s most important collection of gold artefacts, as well as the fascination Viking Ireland Exhibition featuring archaeological finds dating from the 9th century. Dublin’s beautiful National Botanic Gardens of Ireland in Glasnevin date back to 1795. Actually a Scientific Institute for Botany, the gardens boast a collection of plants and trees from all over the world. Enjoy waterside walks, open grass and peaceful woodlands. Visit the wonderful tropical glasshouses, which make a great place to spend a rainy day. Escape the city, feed the cheeky squirrels and take a few selfies. 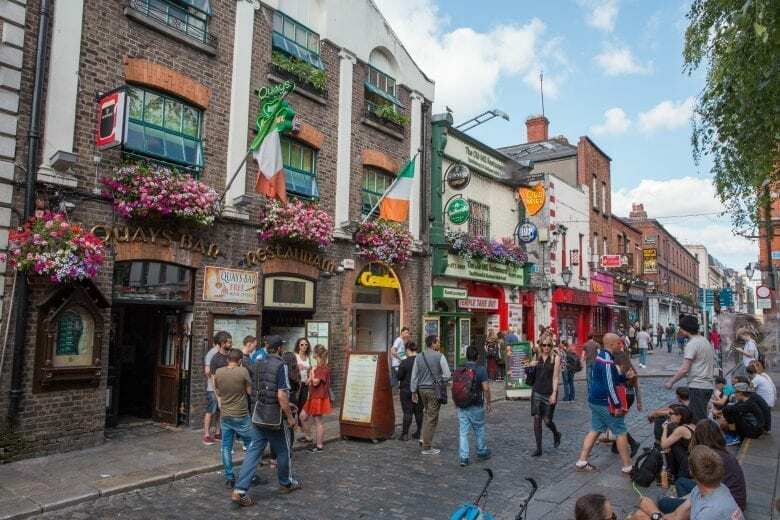 If you have any energy left, you can always download the free walking audio guide from Dublin Discovery Trails; a series of free self-guided walking trails around Dublin. Discover Dublin’s Viking origins or follow the timeline of the 1916 Easter Rising. The app is available for download on iOs and Android devices.